Don’t miss any hot deals, text FOLLOW HOTORGANICDEALS to 40404 for instant text alerts on deals like this! I normally don’t post Lightning Deals, but this is such a hot deal! 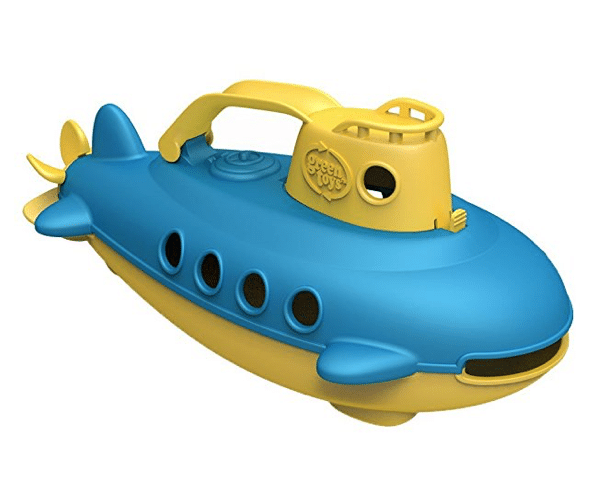 Hurry over to Amazon where they have the Green Toys submarine toy marked down to $5.75 on Lightning Deal! This toy is made from recycled milk jugs and is free of phthalates, BPA and external coatings (rare for toys). We own many Green Toys and love them! This toy normally sells for $15, so hurry over here! This would make a fun bath or beach toy. Buy now and stash in the gift closet. There are several other Green Toys Lightning Deals happening today, so head over here to see the upcoming times and deals. This Lightning Deal ends at 2:10 pm 4/4 or sooner if they sell out. Price is accurate at time of posting and could change at any time. We are a participant in the Amazon Services LLC Associates Program, an affiliate advertising program designed to provide a means for us to earn fees by linking to Amazon.com and affiliated sites.